As an example of how EEG could enhance a training system, we have programmed a fully VR application based on medical courses content. Monitoring, capturing & playing back each learning session, as seen through the student eyes view point, with the ability to go directly to specific actions or critical part of the report. Monitoring and capturing critical mental states indicators associate to the report, in order to detect stress level, mental charge (capacity to understand) and concentration level. Eye tracking ready for deeper analysis. 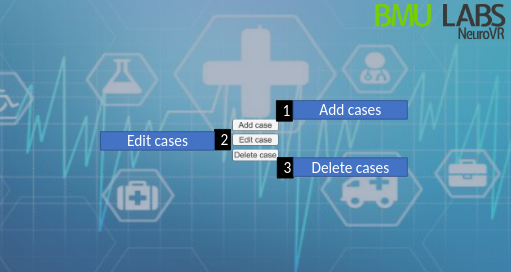 Medical sector has been choosen to be the first scenario of BMU Labs intelligent agent neurofeedback training system.